…In every phone call during the time they were apart she had reminded him of this, of her inability to stop daydreaming about the day she would leave Limbe and be with him in America….A year and a half later now and New York City was her home, a place with all the pleasures she desired….And for the very first time in her life, she had a dream besides marriage and motherhood: to become a pharmacist like the ones everyone respected in Limbe because they handed out health and happiness…. Imbolo Mbue’s debut novel tells the story of Jende Jonga, a Cameroonian immigrant, his wife Neni and their son. A job with Clark Edwards, a senior executive at Lehman Brothers, promises to make Jende’s dreams of settling in America seem within his reach. Little does he know that his destiny is linked with that of the Edwards family and when things spiral out of control for Clark Edwards, Jende’s life and his dreams also go for a spin. Every family has it’s trials and tribulations, but what holds them together is their love. Neni knows how to support her husband and is capable of going to extreme lengths to fulfill his dream. For her, right and wrong are a man-made concepts. She dreams of a cushioned life for her family, just like that of Clark and Cindy Edwards and their two sons. The story captivates from the very first page and unlike most immigrant stories, has a happy and hopeful feel to it. Jende and Neni have choices to make and while they find themselves at crossroads more often than not, their niceness shines through. The language used is refined and each character links beautifully with the other. The sub-plots connect plausibly with the main plot and what you get in the end is a very articulate saga of love, loss and dreams. 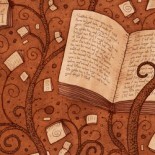 Do the protagonists let go of their dreams? Is it all worth it? Do they succeed? Read Imbolo Mbue’s debut novel to find out!!! A very well written debut novel. 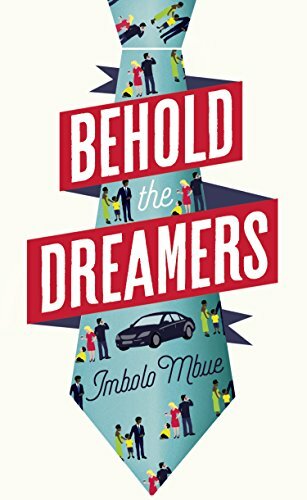 This entry was posted on October 21, 2016 by artikabakshi in Book Reviews, Contemporary, Fiction and tagged American dream, Behold the Dreamers, Imbolo Mbue, Lehman Brothers.